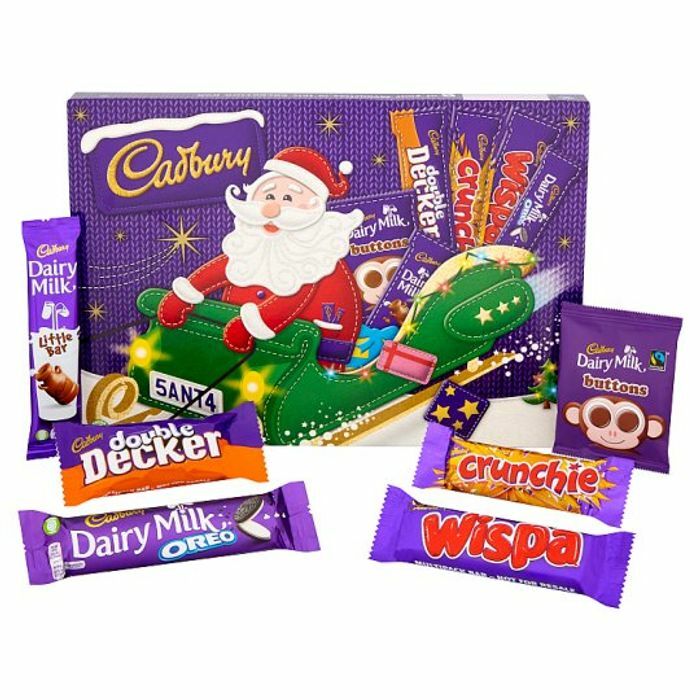 Another nice selection box on offer Six favourite Cadbury classics including Buttons, Dairy Milk Caramel, Crunchie, Flake, Fudge and Dairy Milk Little bar. The perfect stocking filler for little kids, big kids and the kid in you. Cadbury Dairy Milk Oreo: Milk chocolate with a vanilla flavour filling (36 %) and biscuit pieces (14 %). Cadbury Wispa: Textured milk chocolate bar. Cadbury Dairy Milk Kids Bar: Milk Chocolate. Cadbury Double Decker: Milk chocolate with smooth, chewy nougat (36 %) and crisp, crunchy cereal (9 %) filling bar. Cadbury Dairy Milk Buttons: Milk Chocolates. Cadbury Crunchie: Milk chocolate with golden honeycombed centre (37 %). Wow.these are really good. What a great find. Thank you so much for sharing. Thanks for the info. I was going to take a trip to tesco later on to stock some up as little one's birthday coming up so thinking of adding these in birthday bags. So many chocolate deals lately. I think I am putting on weight just by the looking at them. great deal! ideal for the grandchildren thanks for sharing! Wow this is a cracking deal....I'll have a couple of these with my onli order. Put five on these on my online order but they were out of stock so substituted for next size up so a real bargain when they pricematched! !